A former high school student of state Rep. Matt Manweller's says they had a relationship beginning after she graduated in 1997 when she was 17. A new state political action committee with a high-profile co-chair from California and national financial backing has launched a campaign to unseat Washington state legislator Matt Manweller. The campaign, which launched Monday morning, comes as Washington House Republican leaders have asked Manweller to resign his seat following a report by the Northwest News Network last week on an alleged underage relationship Manweller had with a former high school student in 1997. Manweller was expected to respond to the call for him to resign later Monday. "Matt Manweller should not be in public office," said Michele Dauber, a Stanford University law professor and Democrat who is co-chairing the "Enough is Enough" PAC and earlier this year led the successful recall of a California judge. In August, Manweller was fired from his job as a tenured political science professor at Central Washington University (CWU) following a multi-month investigation that found he had engaged in a "pattern of unprofessional and inappropriate behavior" with current and former female students over a 13-year period. Manweller has denied wrongdoing and is suing for wrongful termination. On Friday, the Northwest News Network published a story in which a former high school student of Manweller's from Idaho said that she had a sexual relationship with him when she was 17 and he was a decade her senior. Manweller has denied having a sexual relationship with anyone under 18. On Monday, the "Enough is Enough" campaign launched a previously planned "Stop Manweller" website that detailed more than a decade's worth of allegations against Manweller. Top donors to the "Enough is Enough" state PAC include The Feminist Majority, the political wing of the Feminist Majority Foundation, a national women's equality organization. It gave $5,000. Dauber said. Washington's trial lawyers' PAC, Justice for All, had also contributed $10,000. Dauber said the PAC will continue raising money in the coming weeks in an effort to reach voters in the 13th Legislative District. Manweller, who is seeking a fourth term in the Washington House, did not immediately respond to a request for comment about the "Enough is Enough" campaign. Defeating Manweller won't be easy. His sprawling central Washington district is rural and heavily Republican. In the August primary, he got 63 percent of the vote against his Democratic challenger, Sylvia Hammond, a former substitute teacher. 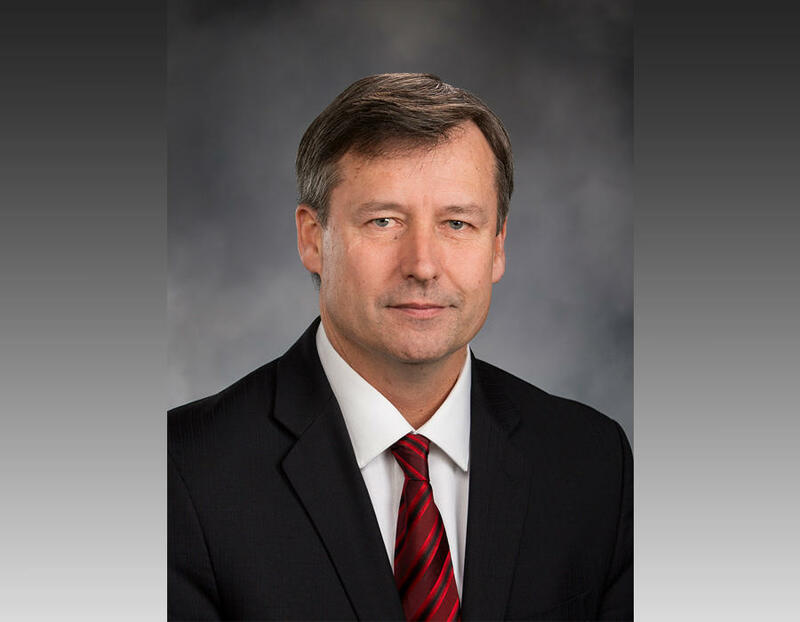 In a Facebook post on Friday, following publication of the Northwest News Network story, Hammond also called on Manweller to resign from the House and end his re-election bid. So far Manweller has raised $120,765 for his re-election effort, compared to $57,292 for Hammond, according to the state's Public Disclosure Commission. Despite the controversy surrounding Manweller, state Democrats have not targeted the race as a possible pick-up opportunity this year. Calling that "completely unacceptable," Dauber said that's one reason the "Enough is Enough" campaign is needed. "We can't have a situation where we don't stand with survivors," she said. This isn't the first time a political action committee has been set up in Washington to defeat a candidate accused of misconduct. Leading up to the August primary, the South Sound Women's Leadership PAC funded a successful effort to defeat Democratic state Representative David Sawyer in a three-way primary. That campaign followed a House investigation that found that Sawyer had violated that chamber's harassment policy. Previously eight women had told public radio, The News Tribune and The Olympian that Sawyer had crossed personal and professional boundaries, sometimes repeatedly. One of those women was Jessica Gavre, who chaired the campaign to unseat Sawyer, She is now co-chairing the "Enough is Enough" PAC in Washington along with Dauber. "Were this happening a couple years ago, I don't know that there would be the same response," Gavre said in an interview. "I see my role as to help women share their stories and help women get their stories to voters, just like we did in the Sawyer race." Like Dauber, Gavre is a Democrat. Dauber said she reached out to Gavre during the Sawyer campaign and then invited her to partner on the campaign against Manweller. In addition to being a Stanford law professor, Dauber is a prominent Democrat who served on Hillary Clinton's national finance committee in 2016. This year, she has received national attention for her role in the successful recall of Aaron Persky, the Santa Clara County, California judge who handed down a six-month sentence for Brock Turner, the former Stanford University student convicted of sexually assaulting an unconscious woman. Separate from her effort to unseat Manweller, Dauber on Monday also launched a national "Enough is Enough Voter Project" that aims to hold candidates accused of sexual misconduct or harassment accountable. "We believe that it's very important to make violence against women a voting issue," Dauber said in an interview by phone from her home in Palo Alto, California. This year, "Enough is Enough" plans to highlight five other "featured races"—three statehouse and two Congressional—around the country where candidates have been accused of misconduct or mistreatment of women, Dabuer said. All targeted candidates are Republicans, although Dauber said highlighting candidates who have "turned against women" is not a partisan issue. They include state Rep. David Byrd of Tennessee, who has been accused of sexual misconduct involving three women he coached on a high school basketball team in the 1980s. Another is California Assemblyman Devon Mathis, who was sanctioned for "using sexually charged language," according to Capital Public Radio. Dauber would not say how much the "Enough is Enough" campaign hopes to raise and spend in advance of the November election or which of the five races her national PAC will ultimately target. While the Manweller race is not one the "featured races," Dauber said she decided to personally get involved in efforts to defeat him after reading the 85-page CWU investigation into his conduct toward students. "I've never seen a clearer case, to be honest with you, of someone who has no business being in public office," Dauber said of Manweller. "His behavior is completely disqualifying."